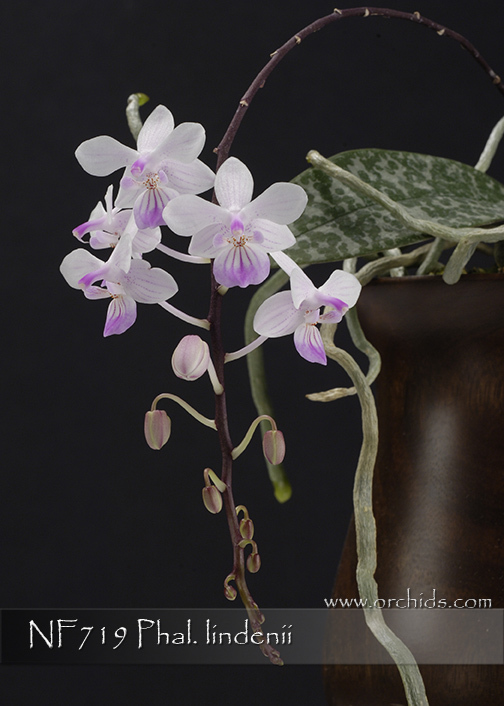 One of the most endearing of all Phalaenopsis species, Phal. lindenii has a lot going for it! 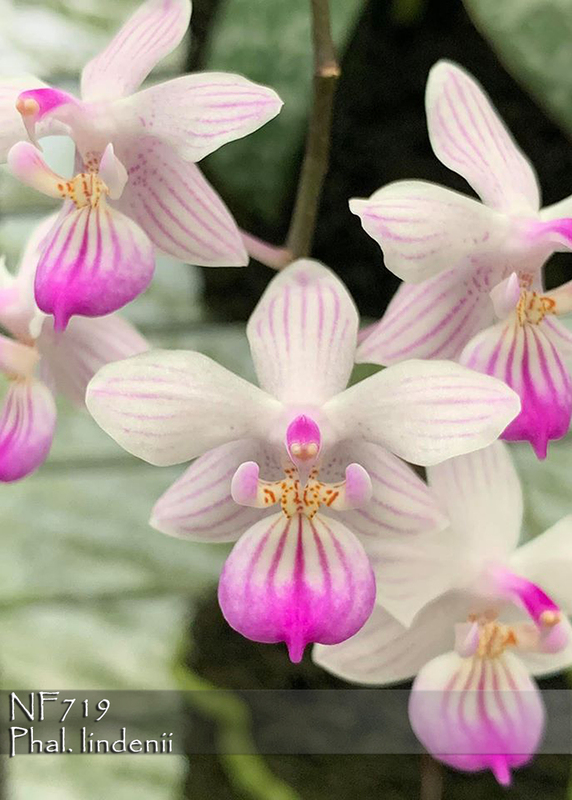 Endemic to the Philippines, this charming miniature produces dense pendulous spikes of small white flowers with fine pink stripes, beautifully displayed against its stunning marbled silvery foliage. 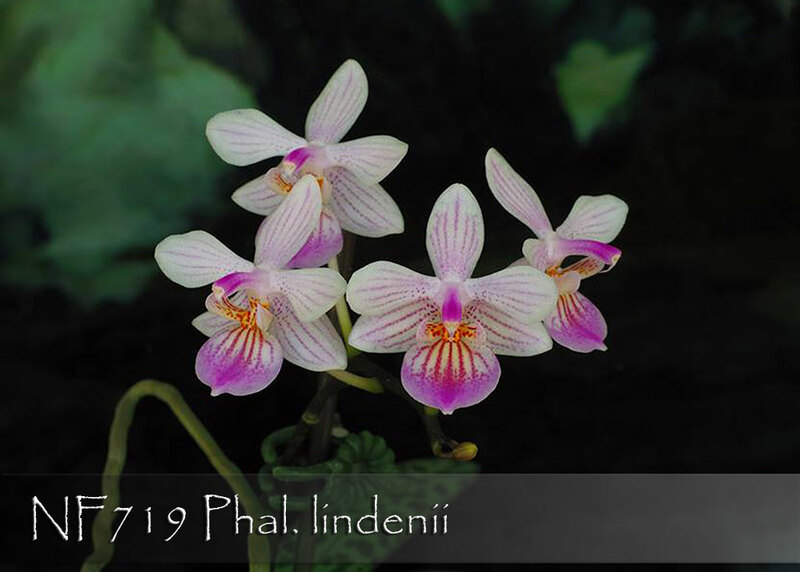 Adding to its charm is a broad pink lip, strongly marked with darker pink stripes coalescing to solid pink. 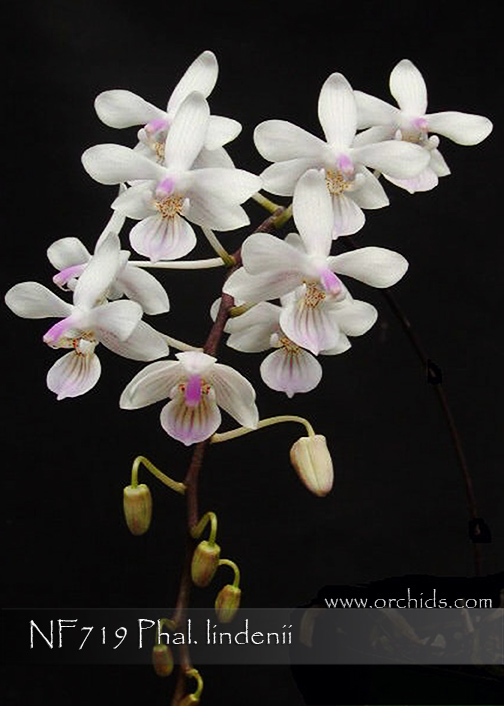 This species prefers to be grown a little cooler than most Phalaenopsis and will reward the grower with gracefully cascading inflorescences of small 1 – 1 ½” candy-stripe flowers. 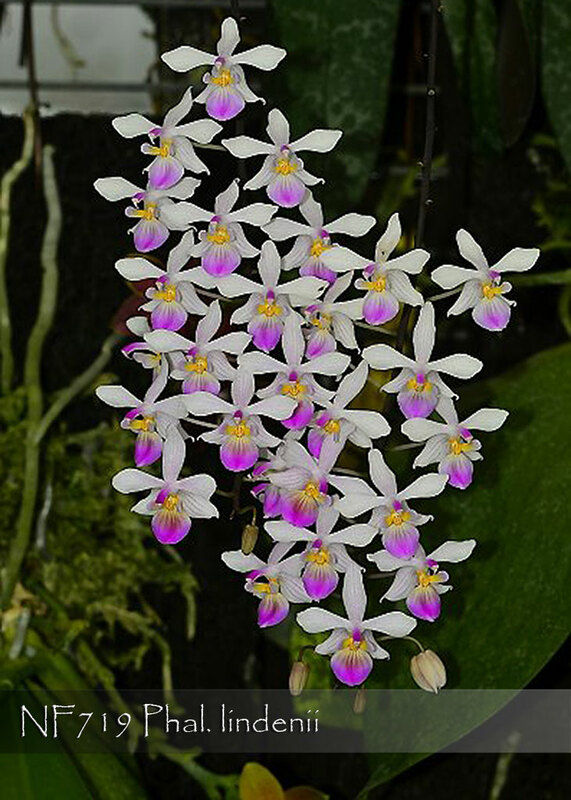 For the best display of its pendant inflorescences many growers choose to mount this species. Rarely available and Very Highly Recommended!